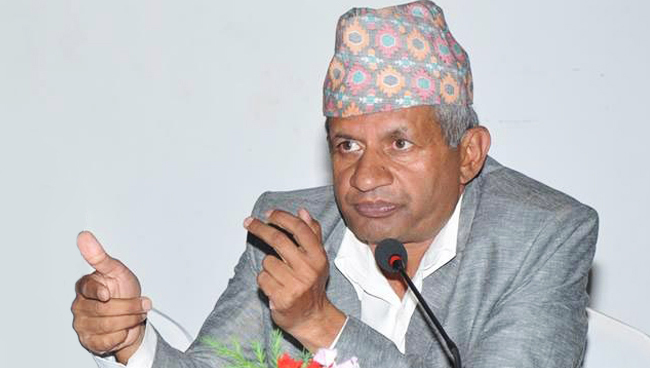 New York – Minister for Foreign Affairs Pradeep Kumar Gyawali has stated that the principal of Non- Allinged Movement (NAM) would encourage its member nations towards the culture of peace. Stating that the LDCs' path of development was low, long and ambiguous, he urged the international community for their adequate support the internal efforts of the LCDs in their graduation from LDC status to developing countries. Secretary Bairagi reaffirmed that Nepal adhered to the principle of unconditional proliferation of weapons of mass destruction as well as other kinds of arms.